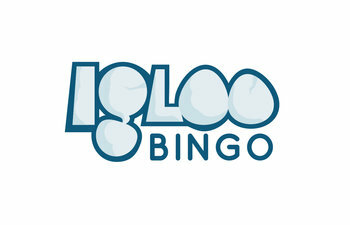 Igloo Bingo is all set to be one of the coolest bingo sites in town! This brand is all set for launch, and will be part of Best Bingo Network and powered by Cozy Games who are one of the most renowned providers in the industry. They have set industry tongues wagging even before the site is live for a number of reasons, one of which is the promise to host non-networked promotions such as prize giveaways and free bingo rooms. Those of you who are bingo boffins will know that it is unusual to see a Best Bingo Network site host offers that aren’t also found across their network of brands, but Igloo Bingo is keen to stand out from others and add as much value as they possibly can for their players. The founders of Igloo Bingo, are the same people behind Rocket Bingo, who have made quite the name for themselves in the industry. They have just scooped the “Best Jumpman Gaming Site 2016” award from renowned comparison site Which Bingo, so you know already that you can expect big things from their sister site. Things that have made them stand out from the crowd have been their free bingo sessions where players can win £10 prize pots, the chance to earn loyalty points simply by liking their Facebook page, regular competitions and puzzles on social media that can earn players vouchers and more – they have also been known to give away all kinds of tangible prizes including BBQ’s and other treats onsite. When joining Igloo Bingo players can expect the generous £15 no deposit bonus found on all BBN sites as well as a generous welcome package. There will also be lots of bingo including 75 ball bingo, 90 ball bingo, 80 ball bingo and 50 ball bingo. It’s no doubt going to be a one-stop destination for bingo fans to chill out and enjoy their bingo fix. We expect that this bingo brand will be launching during October 2016, so keep your eyes peeled for those cute little eskimos!